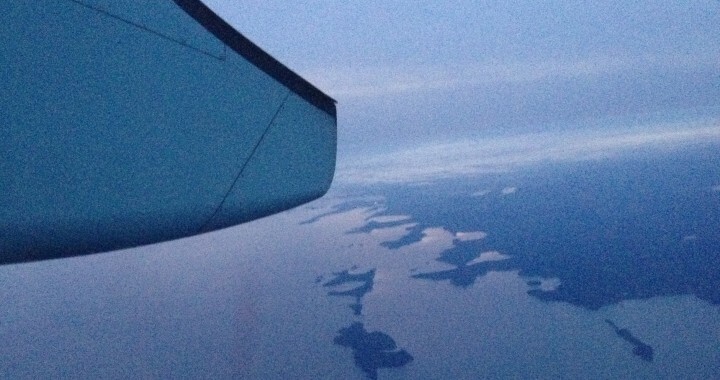 | Mobile lawyers in Nova Scotia – a fresh perspective. Let's find the legal solution that is right for you. Are you a small business owner? Chances are you started working out of a home office but the time may come when you need more space, visibility, or accessibility to meet the needs of your clients. You have probably spent a lot of time thinking about the best location, price range, and how to furnish your new space. Once you find it, you will be keen to move in and set up shop. But before you call the moving truck, make sure you spend some time reviewing the lease. If you don’t have one, you should ask your landlord to provide you with one or at the very least spell out the basic terms of your arrangement in writing (e-mail is okay) to make sure you are on the same page. This is a bound to be a busy time but don’t sell yourself short by signing blindly. Term: This is the amount of time when you have the right to be in possession of the space and can usually be negotiated. Don’t sign onto 5 years if you feel you might need to expand again in 2 years. On the other hand, if you want to make sure you can keep the space without having to move, think about a longer term lease – for example 10 years. A tenant-friendly option is automatic renewal subject to notice by the tenant (only), but your landlord may want the same option. Rent: Make sure you understand exactly what your rent includes. Who pays for utilities? Is a damage deposit required? Note that sales tax will be charged on most commercial leases. If you are renting retail space, particularly in a mall, do you owe your landlord a percentage of your profits? Pay attention to the landlord’s ability to increase the rent. You should have notice in advance, it should be reasonable, and you may want to demand an opportunity to leave without penalty if the new rate doesn’t work for you. Description of Leased Premises: The description of the space you are renting should match your expectations. If there are common areas, your ability to access and use those spaces for the purposes of your business should be included in the lease. Also, make sure that you are allowed to use your space for your business’ full range of requirements. Bear in mind local zoning/permitting requirements that might affect your ability to use the space, independently of permission from your landlord. Parking: Does your business require access to parking? This can be contentious in urban spaces so make sure you and your clients have what you need. Consider a right to have signage to designate the parking spaces that are allocated for your business. Advertising: How do you want to promote your location? Discuss signage with your landlord in advance and keep in mind that a permit from the Town/City may be required – particularly if your signage overhangs a sidewalk. Neighbours: Is your business compatible with the other tenants or neighbours in close proximity? Consider requesting a guarantee from your landlord that he will not offer space to competing businesses during the course of your term. Make sure the nature of your business is clear (e.g. pizza delivery service) so that there is no confusion on this point. Renovating: If you decide to renovate, make sure that your landlord is in approval and that you are in agreement about what will happen when the lease comes to an end. 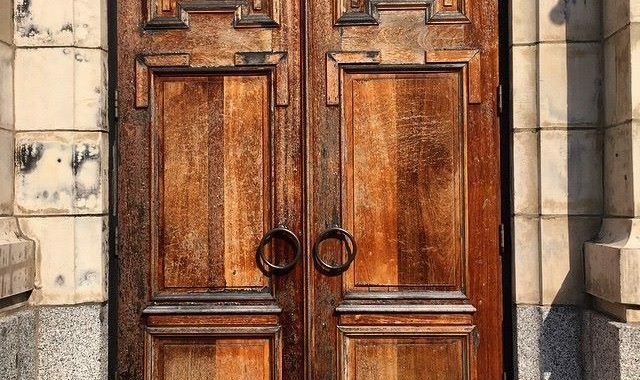 You may be required to restore the space to its earlier condition or leave some of equipment/furniture that has been added if it is attached to the building structure (countertops, cabinets, kitchen equipment, etc.). Terminating: How much notice is required? What are the penalties? Think about why you might need to leave early and what would be sustainable for your business in that case. If you leave because of a dip in profits, a high financial penalty could be very damaging to your bottom line. At the same time your landlord needs to protect his financial interests, so think about how you can reach a compromise. For example, you could agree to pay 3 months rent upon notice of termination, instead of paying the value for the remainder of the term. Insurance: There are different types of insurance for commercial properties. Most likely your landlord has insurance to cover general damage to the building structure, but you should confirm this. You should also consider the unique risks associated with the nature of your business and determine whether additional coverage is required. You might want to insure the contents/equipment stored at the property and procure general liability insurance as well. We would suggest consulting with an insurance broker to discuss the right level of coverage. Just don’t assume that insurance is automatically in place! Building maintenance: This can range from clean-up and garbage removal to serious repair work. You might want the ability to make repairs yourself if your landlord does not, but he should be responsible for reasonable costs associated with the work. Ideally your landlord should be required to maintain the building in the same condition as when you move in and to make repairs upon request. If your landlord is responsible for snow and ice removal this should be done in a timely fashion. Access: How will you and your clients access the property? Not all buildings are wheelchair accessible. This might not pose an issue but if you serve the public a lack of ramps, wide doorways, or level flooring could be problematic. Also think about building security, hours of operation, lighting, and holiday and weekend access. Can your landlord access your space? In what circumstances? Depending on your privacy/security requirements you might want to be notified in advance. 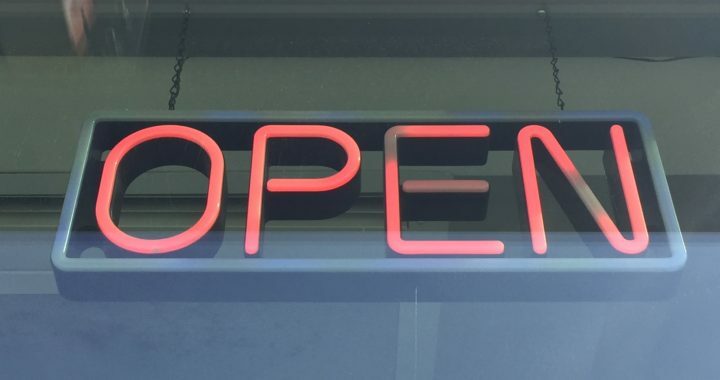 These are just some points to consider when you start renting space for your small business. Along the way, remember that your lease is an agreement that can be negotiated. What’s critical is to ensure that you and your landlord have the same expectations and that these are reflected in writing – even if just in a clearly worded e-mail. It’s in no one’s best interest to have to prove a verbal agreement in court. One more thought: we work with a lot of sole proprietors in which case consensus is a given, but if you are a co-owner make sure that your business partner(s) are on board with the rental arrangement you enter into. This is probably a discussion that should happen before you start looking for space, but certainly before anything is signed. The longer the commitment the more important the consensus. Young businesses can evolve and you may want to discuss an exit strategy in case one of you decides to leave during the course of the Term. If you would like assistance reviewing or negotiating the terms of your commercial lease we would be happy to guide you through the process or advocate on your behalf. You can reach Sarah at (902) 209-6537 / sarah@cslegal.ca or Natalie at (902) 240-4080 / natalie@cslegal.ca. Are you a Landowner? Have you migrated yet? Migrating your Property – some information to consider. This entry is intended to provide information about the land migration process. It is by no means a comprehensive overview, nor does it constitute legal advice. All Nova Scotia properties need to be migrated into the (relatively) new land registration system prior to sale or refinance. It is the responsibility of the seller/current owner to ensure migration happens prior to sale. Whether you are considering a change of ownership, or looking forward to the future (perhaps as far as the property transfers that will happen upon death of a family member, for example), or even just looking to check something off your list, managing future stress – it’s never a bad time to get a property migrated. It’s one of those necessary tasks (eventually, all properties will have to be migrated), so it’s good to get it out of the way without the pressure of a sale or other event. The land registration system helps property owners in Nova Scotia have greater certainty about boundaries, easements, title, etc., via the snapshot/database provided by the land registrar once a property has been migrated. A lawyer can tell you whether your property or a property you wish to purchase has been migrated. It is a good idea to leave plenty of time (at least 2 weeks) to allow for the migration process. To start, contact a lawyer. The lawyer will have a title searcher conduct an historical overview of the root of title to present ownership. The lawyer will then analyze the title search, and let you know of title defects, encumbrances, or other concerns. You will work with your lawyer to ascertain the mapped boundaries of your property, and your lawyer will submit a comprehensive and current metes and bounds description to the land registrar for approval and ultimate registration, thereby “migrating” your property into the “new” system. A lawyer’s fees for a migration may fall between $800 and $2000.00 (this is an estimate, actual cost depends on the complexity and other factors). The migration incurs a NS Land Registration fee of $100.00 (current fee as of writing) as well and a title searcher’s fee (between $150.00 and $500.00 estimate). Any time is a good time to get your property migrated – it’s especially pertinent if you’re considering a sale in the near future. 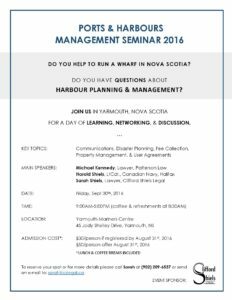 To discuss, contact Natalie at natalie@cslegal.ca, or 902.240.4080. Sarah is in Toronto to attend and present at the Coastal Zone Conference 2016. A brief overview of her presentation entitled Derelict & Abandoned Vessels in Canadian Waters: Legal Options is below. To discuss the legal options she proposes, contact Sarah directly to discuss options for specific situations. The phenomenon of derelict vessels is a recurring challenge for coastal communities. Unseaworthy ships sometimes arrive unannounced; at other times they simply outstay their welcome. Either way, the presence of these vessels threatens the integrity of local economies and marine ecosystems. This is a problem that must be dealt with. 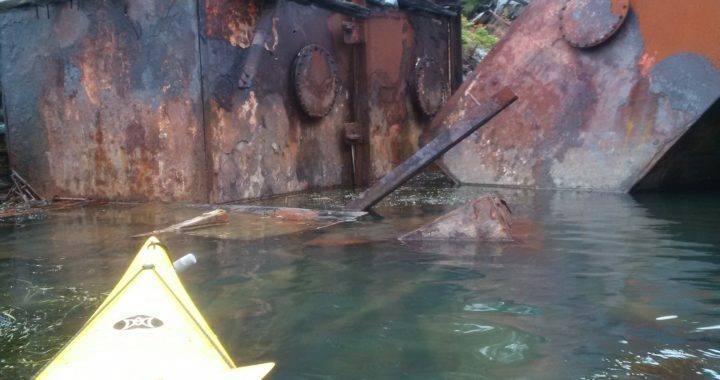 Regrettably, Canadian law surrounding the clean-up of derelict vessels is murky at best. According to federal law and policy, the onus remains on the named owner of a vessel to take responsibility and spearhead the removal process, however many registered owners simply refuse to step up. This unresponsiveness is often explained by burdensome personal and financial histories, which become common backdrops for the condition and circumstances of derelict vessels. Endeavouring to track down the registered owner of a derelict vessel and force him or her to accept responsibility can be expensive and unproductive. Recognizing these challenges, Sarah suggests the use of some existing legal tools for dealing with derelict and abandoned vessels while highlighting practical gaps and limitations. Drawing upon her experience as a marine lawyer, Sarah shares strategies for working within the current legislative framework to find real solutions and minimize risk, and provides suggestions for legislative and policy development. 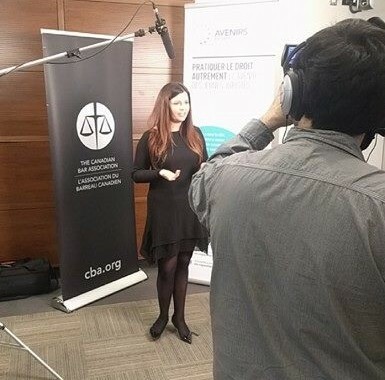 We have been thrilled to take part in the CBA Legal Futures Initiative. We’ve been given the opportunity to talk with and hear from key legal education proponents and planners, lawyers of varying experiences, and law students, about the future of the industry. In March, CBA released its CBA Legal Futures publication entitled Do Law Differently: Futures for Young Lawyers, and we were invited to take part in its official launch. The OBA and CBA hosted a full day of discussion dedicated to how to train and best prepare current and future lawyers for an ever-changing industry, followed by an evening reception at MARs hosted by LegalX and CBA, showcasing our firm and a number of wonderfully innovative young lawyers who are changing the way we think about the practice of law. Natalie attended and gave a brief presentation about our firm to a receptive audience. For the future of legal education, she strongly advocates for the integration of practical business training, to help prepare lawyers to understand and optimize their involvement in the business side of running a legal practice – whether large or small. We’re pleased to be included in this initiative, and look forward to continuing the active discussion with more of our colleagues. 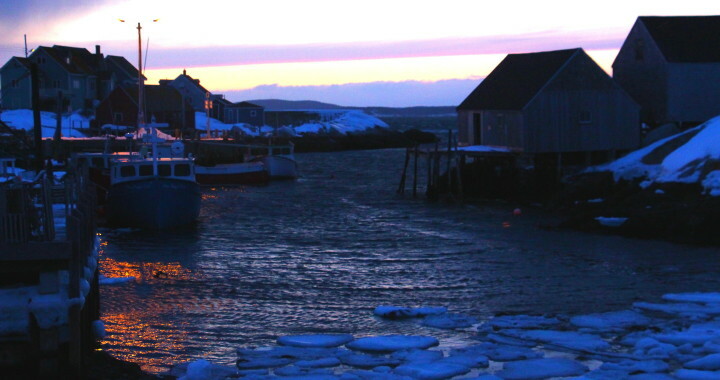 Nova Scotia is a province with a proud sea-faring history. Prior to colonization our coastlines were inhabited by Mi’kmaq families who fished for a variety of fish and shellfish species during the summer months. In the 1700 – 1800s thousands of Europeans, Loyalist, and Acadians arrived by sailing vessels and steamships. Now in the 21st century our coastline is dotted with marinas, harbours, and ports which cater to a combination of military and commercial vessels as well as pleasure craft. 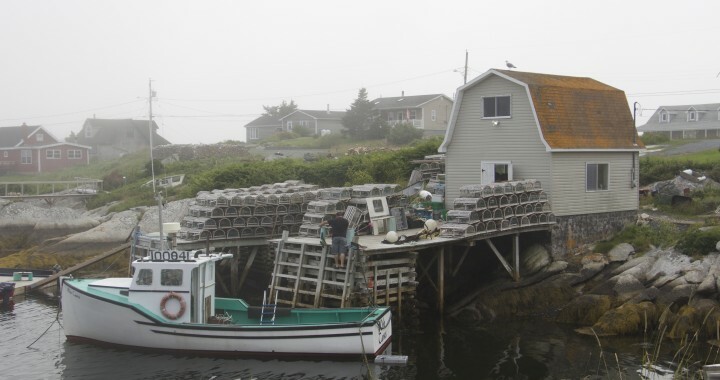 To facilitate access to the ocean, many coastal property owners have built wharves, docks, and boat ramps. Some of these structures are built on privately owned water lots. Others are not. In either case is important for property owners to understand the extent of their rights so as to avoid costly removal orders down the road. If you want to repair a wharf and you do not own the water lot you will need to apply for a permit from the Department of Natural Resources. Similarly, if you want to build, extend, or enlarge a wharf, skidway, or boat ramp and you do not own the water lot then you will need to apply for a permit from the Department of Natural Resources. You may also require a permit to establish a mooring or permission from your upland neighbour, depending on whether the mooring is within 60 metres of the shoreline. You can find more information about this process here. A water lot is defined as a parcel of land covered by water, also known as submerged land. “Water lot” is the common term but a more accurate label might be under-water lot because the “parcel of land” is just the seabed. Ownership of a water lot does not extend to ownership of the water column. This is because in Canada the public has a paramount right to pass through navigable waters, including the Atlantic Ocean, and this right can only be interfered with via legislative authority. Therefore if you would like to build or repair a wharf, ramp, or skidway on oceanfront property and you own the water lot you will have to comply with the federal Navigation Protection Act (“NPA”). The NPA requires anyone building a work that could obstruct navigation to apply to the Minister for approval. Importantly, this approval is not required for certain minor works. It seems that the Minor Works Order will be updated this coming fall so in the meantime property owners planning new projects or repairs to existing structures should contact the Navigation Protection Program directly if they have questions about compliance. Here is the contact information for the Regional Manager of the Atlantic Region: 506-851-3113 or NPPATL-PPNATL@tc.gc.ca. As a final point, if you are considering purchasing oceanfront property you should make sure that your lawyer and/or surveyor investigate any buildings or structures situated along the shoreline or in the water adjacent to your property. You should never assume that the previous owner acquired the appropriate authorizations before building. It’s possible, perhaps even likely, that the previous owner had good intentions without realizing that a permit was required. You could find yourself the proud owner of a structure that cannot be repaired and must ultimately be torn down at your expense. The Fisheries Act is federal law that engages with Canadian fishing rights and obligations. Offences under the Fisheries Act include: breach of licence conditions, polluting waters inhabited by fish, obstructing other vessels, etc. As a general rule, the federal government has the authority to regulate Canadian coastal waters from the low-water line to a distance of 200 miles from the coast (potentially up to 350 miles in some cases). The federal government has specific constitutional authority to make laws in relation to “sea coast and inland fisheries” and “navigation and shipping” (sections 91(12) and 91(10). The province has authority over “property and civil rights in the province” (section 92(13)). Some areas, such as environmental concerns, receive treatment by both the federal and provincial governments. You can read more about this topic here. In Canada it is critical that law-makers and other agents of government act within the appropriate scope of authority and respect the limits of their allotted powers. If they fail to do so, this could render their laws or actions invalid. Canadian courts consider it very important that each level of government respect the other’s authority. (b) reasonably and honestly believed in the existence of facts that, if true, would render the person’s conduct innocent. Under the Fisheries Act, the Crown may elect to proceed by summary conviction or by indictment (section 78). Summary offences are less serious and carry a lesser penalty, ranging up to $100,000 or to one year’s imprisonment. The limitation period for the Crown to begin a proceeding with respect to a summary offence is 5 years from the date of the offence (section 82). There is no time limitation for indictable offences. 62. No person shall obstruct or hinder a fishery officer, a fishery guardian or an inspector who is carrying out duties or functions under this Act. (e) an offence punishable on summary conviction. It should be noted that the Criminal Code definition of “peace officer” includes fishery officers while they are performing duties or functions under the Fisheries Act or the Coastal Fisheries Protection Act. That means that if you obstruct a fishery officer during the course of an investigation you could be charged under the Criminal Code for obstructing a peace officer. In 2007 a case called R. v. James was heard in the Newfoundland Provincial Court. The facts of this case revolved around a number of fishers who were caught fishing lobster out of season. More than eighty charges were laid, ranging from unlawful confinement, to Criminal Code obstruction and obstruction under the Fisheries Act. Two individuals were found guilty of committing both types of obstruction. The judge in this case approached Criminal Code obstruction along the lines of intentional destruction of evidence. The Fisheries Act obstruction was limited to temporarily interfering with the investigation, which amounted to getting in the way of the fishery officers and hampering their attempts to get free of ropes jammed in their propeller. 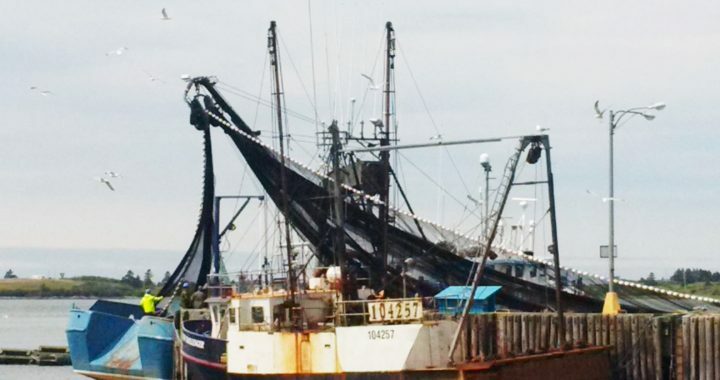 There haven’t been a lot of cases addressing this particular issue, but R. v. James demonstrates that it is open to the court to penalize fishers with charges of obstruction under both the Criminal Code and the Fisheries Act at the same time. Because of the burden of proof I think that fishery officers are more likely to lay charges for the Fisheries Act offence of obstruction and only charge fishers with the Criminal Code offence where there is clear intent to interfere with an investigation or destroy evidence. If you have questions regarding your fishing rights or obligations please contact Sarah at sarah@cslegal.ca or 902.209.6537. The Province of Nova Scotia has recently undertaken a review of the Mineral Resources Act (“the Act”) and corresponding regulations. This legislation provides a framework for the extraction of mineral resources in the province. Changes to the Act have the potential to affect private property rights, so Nova Scotia landowners should pay attention to the review process and any subsequent amendments. Section 92 of the Canadian Constitution Act gives provincial governments the authority to make laws concerning property rights, local works and undertakings, and direct taxation for provincial purposes. It proceeds to specify at section 92A that provincial legislatures may exclusively make laws in relation to exploration, development, conservation, and management of non-renewable natural resources in the province; and furthermore, to make tax laws relating to non-renewable natural resources and their primary production. 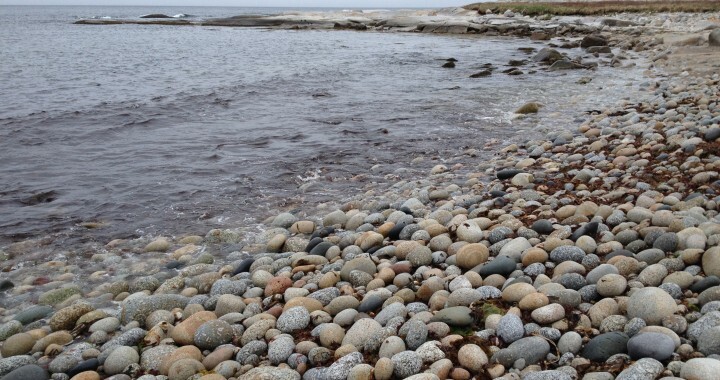 Non-renewable resources mined in Nova Scotia include gypsum, salt, aggregate (e.g. crushed stone, sand & gravel), coal, and various metals including antimony, copper, gold, iron, lead, tin, and zinc. Nova Scotia’s Natural Resources Department provides information about the mining of these resources on its website. In other words, the Act engages with the discovery and exploration of certain minerals and the administrative and economic aspects of their production. The full text of the Act can be found here. All minerals are reserved to the Crown and the Crown owns all minerals in or upon land in the Province and the right to explore for, work and remove those minerals. Section 17 affords government agents the right to enter your land without penalty – provided they are acting with the appropriate authority and cause as little damage as possible. This is not the case for private companies or individual mineral rights holders, who must first obtain your consent before entering upon and working the land (section 39). If a private landowner refuses to allow a mineral rights holder access to their land then the holder of that interest can apply to the provincial Minister of Natural Resources for a surface rights permit to pass over, enter upon, and work such lands (section 100). Similarly, if an individual or mining company holding a mineral lease (leaseholder) wants to set up a mine on private land but cannot reach an agreement with the landowner the leaseholder may apply to the Minister for an order granting it the required rights or interest in lands (section 70). For more information about how changes to the Act could affect your interests please contact Sarah Shiels sarah@cslegal.ca. This post was written in coordination with Michael Kennedy, a senior commercial lawyer in Halifax. It is an open letter intended as a response to the ongoing discourse concerning Aboriginal and Treaty rights in northwestern Ontario, and reacts specifically to issues covered in local Thunder Bay media and nationally. Natalie and Mr. Kennedy have travelled to that region, and continue to collaborate with respect to the unique opportunity faced by the First Nations of Ontario – and throughout the country – to continue to exercise the right to control and protect Canada’s natural resources. The issues facing communities in northwestern Ontario with respect to Treaty rights and resource protection are unique in some ways – yet have common ground and lessons to be shared with First Nations across the Canada. We have read with interest the comments, articles and opinions associated with Kitchenuhmaykoosib Inninuwug (“KI”) and its attempts to protect its resources and people, from the time KI leaders were jailed for being found in contempt of court, up to their recent decisions with respect to the development of their traditional territories. It is our opinion that the ongoing rhetoric associated with KI and Canada’s First Nations generally is often fraught with, and/or received with prejudiced and/or uninformed views, rendering the discussions unproductive and immobilized by ulterior motives. This persistent hindrance to what could be otherwise productive, forward-thinking discourse is due to the large and ever-growing gulf of misunderstanding which exists between First Nations and the Canadian public on many of these issues today. First of all, we would point out that our comments below are limited to Treaty 9, its history, and the legal background associated with its various provisions. Use of the word “cede” in the Treaty, which seems to be a focal point to those who wish to enforce the provisions of the Treaty against the First Nations, raises numerous issues with respect to the Treaty itself. This particular provision of the Treaty and indeed the Treaty in its entirety may be shown to be of no effect whatsoever. In other words, many suggest that there are very strong arguments, legal and otherwise, which stand in the way of the enforcement of the provisions of Treaty 9 as it applies to the rights of the First Nations. One issue which is the subject of considerable debate today is with respect to minerals. The Treaty is devoid of the word “minerals.” Although some may view use of the word “mining” as synonymous, at law these are two substantially different terms. “Mining” refers solely to the activity of extracting minerals, while “minerals” refers to the actual rights to those minerals and the profit derived from their sale. At common law and also as indicated in the Crown grant legislation, it is clear that the Crown when granting lands does not include “minerals” unless specifically included in the grant. How can the Crown then argue that it received the grant (or ceding) of the “minerals” from the First Nations through Treaty 9 when in fact the Crown argues that this was a Treaty between two separate nations and accepts the position that the Crown does not grant minerals unless the term “minerals” is specifically stated? Why then was this intentionally not included in the draft? This omission raises substantial questions, particularly in light of the push to develop mining within Treaty 9, which of course includes the Ring of Fire. One may then argue, due to the extension of the rights of First Nations in the most recent cases, that in fact the First Nations have a valid argument that they have title to the minerals and where they did not “cede” their rights through the Treaty with respect to these minerals included in the lands purportedly conveyed to the Crown. Overall, viewed through a modern lens, the Treaty 9 provisions, the history of its signing, the lack of understanding of its terms by First Nations at the time of signing, the question of whether the terms of the Treaty were properly interpreted to the First Nations, the issue of whether their culture and language could possibly articulate and reconcile the wording and effect of the Treaty, the total failure to pay adequate compensation then or over time, the lack of any independent advice provided to the signatories in an effective manner and in terms which could be understood, the basic inequality in bargaining positions, and other circumstances may in fact lead one to the conclusion that the Treaty itself is not enforceable whatsoever. Also, it should be noted that after the last adhesion of Treaty 9 was signed and for a considerable period afterward, the First Nations in Canada were effectively stopped from claiming any rights through the legal system associated with the Treaty or otherwise. In short, the First Nations did not knowingly or willingly ‘cede’ or give anything to the Crown. On the other hand, the Crown got everything they wanted through the use of the Treaty document which they prepared. Even if we get by the arguments as outlined above, there are other substantial issues associated with the Treaty which may make portions of it unenforceable in the manner in which the Crown has operated for years. So if the Treaty is in place (as it seems to be now), and if minerals were in fact included, the so-called “harvesting” clause allows for the First Nations to carry on their usual vocations on their traditional lands excepting only such tracks as may be taken up by the Crown from time to time for settlement, mining, lumbering, trading, or other purposes. It may seem clear to the casual reader of the Treaty that in fact the Crown retains the right to take up such of the traditional lands of the First Nations for these specific uses. The contrary argument to this is of course that, if the Treaty is enforceable, only upon expropriation by the Crown of these lands for these specific issues may the Crown then enjoy the uses as stated. In other words, a reasonable explanation of this clause is that the First Nations were paid for the Crown’s right to expropriate these lands in the future, as no one at the time understood what portions of these traditional lands would be taken for any of these issues. If all was taken at the time, then clearly the payments were inappropriate. It could be argued that all that the Crown received was an ‘option’ to take these traditional lands for the uses specified and upon appropriate compensation to be paid at the time of the taking. As you are aware, in any expropriation process, compensation must be paid to those who have the rights over the lands. This does not seem to have been the practice of the Crown in the past and, in the view of some of those within Treaty 9 and elsewhere, this is a debt due to the First Nations. This amount is substantial and based upon a reasonable interpretation of the terms of the Treaty. The foregoing are only some of the arguments and positions which have been held by the First Nations and many of these are yet to be advanced for a variety of reasons. This does not mean that these arguments are not legitimate and won’t be used in the future. As Canadians, we received the rights entrenched in the Constitution under the Charter of Rights and Freedoms. There was a similar provision placed in the Constitution in favour of the First Nations that recognized all of their rights, which had historically accrued to and in favour of the First Nations. That specific provision is now the most litigated portion of the Constitution or, for that matter, any other area of the law, and has been since the early 1990s. Most recently, the Supreme Court of Canada has recognized a dramatic expansion of the rights of Aboriginal Peoples in Canada with respect to their traditional lands. This decision, which was decided in June of this year, is only beginning to play out across the country and will have substantial impact on the ability of First Nations to protect and defend these expanded rights. The implications associated with the advancement of those arguments outlined above are extremely far reaching for all parties. In recognition of this, in many cases the parties have agreed to a consultation and accommodation process supported by the provisions of the Constitution and the rulings of the Court. This should not be viewed in any manner as a diminishment of the rights of First Nations for these rights are clear and continue to be advanced. Based upon the strength of these rights, the bargaining position of the First Nations has increased dramatically. Those who choose to criticize KI should perhaps bear in mind that KI is supported by substantive rights, and, as such the Crown and others in Canada are obligated to respect and acknowledge that these rights exist. In today’s world, to accept the very limiting words which are used in the Treaties and in other arrangements with First Nations (which are suspect in and of themselves) simply promotes a misunderstanding and a lack of respect for the rights of others. Today, all of the Court procedures and wranglings in the KI Platinex matter, would, in our view, have entirely different results from just a short time ago. We would say to all of the detractors of the rights of First Nations, catch up to today’s reality and cease the shallow and harmful vitriol. What we all have to realize is that the ground upon which our systems and ideas have been built is shifting dramatically and will continue to do so in a much more accelerated fashion in the near future. 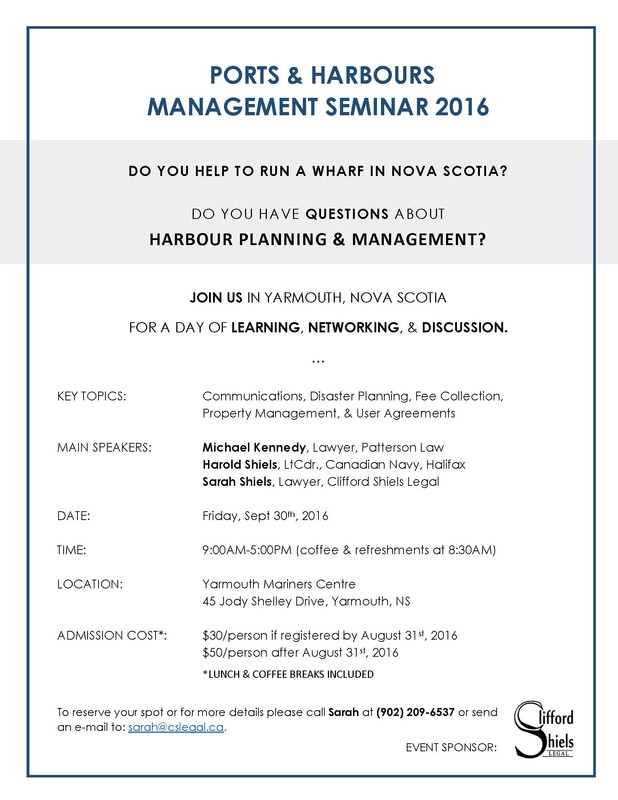 Contact Natalie at 902.240.4080 or by email at natalie@cslegal.ca. Copyright Clifford Shiels Legal 2013.